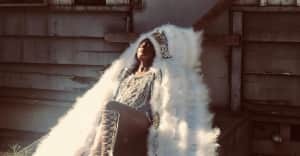 D∆WN wields the tools of big-tent electronic music on her new track: relentless builds, a synth-heavy breakdown, technologically altered call-and-response vocals. The song centers around a simple demand—don't wake me up! "Never limit your sound," D∆WN wrote on Twitter. "We are making art for every type." The singer connected with Machinedrum previously on "Not Above That." Listen below.